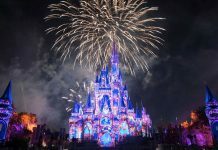 Pre-school kids and their parents who grew up watching “Sesame Street” will be able to step into a real-world version of the television neighborhood when Sesame Street at SeaWorld Orlando opens. 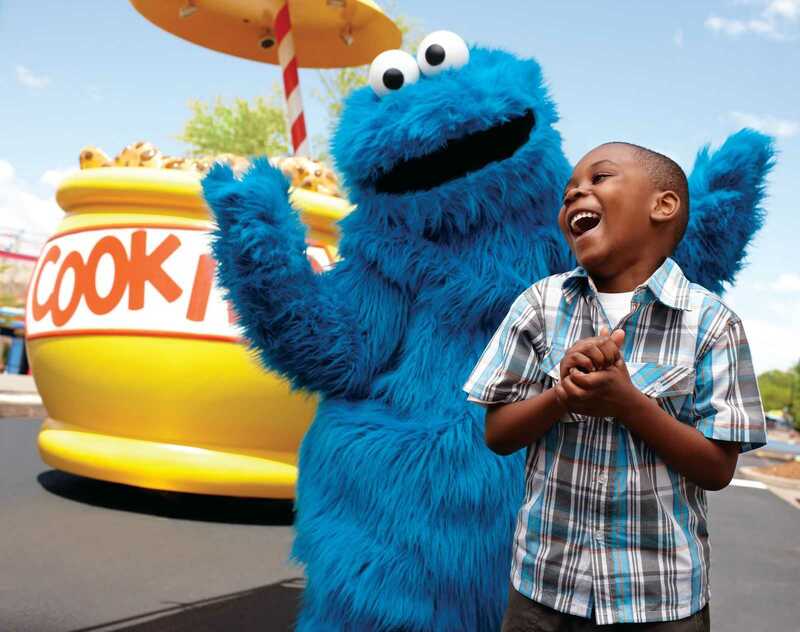 Sesame Street at SeaWorld Orlando opens this spring on March 27 with a faithful recreation of the familiar TV set along with six attractions, two play areas and a retail shop themed to the 50-year-old children’s television show. 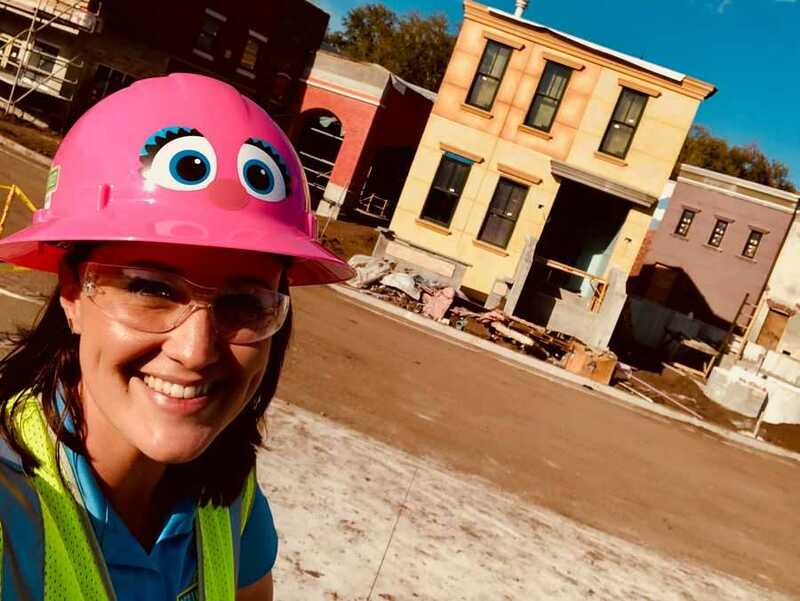 I recently took a behind-the-scenes construction tour of Sesame Street at SeaWorld Orlando with Amanda Trauger, creative manager for theme park development at SeaWorld. During my visit, the theme park version of the famed fictional street still remained unpaved, although the curbs were in place. Cement was drying on the nearby sidewalk. Construction crews were laying underground piping for the water play area. 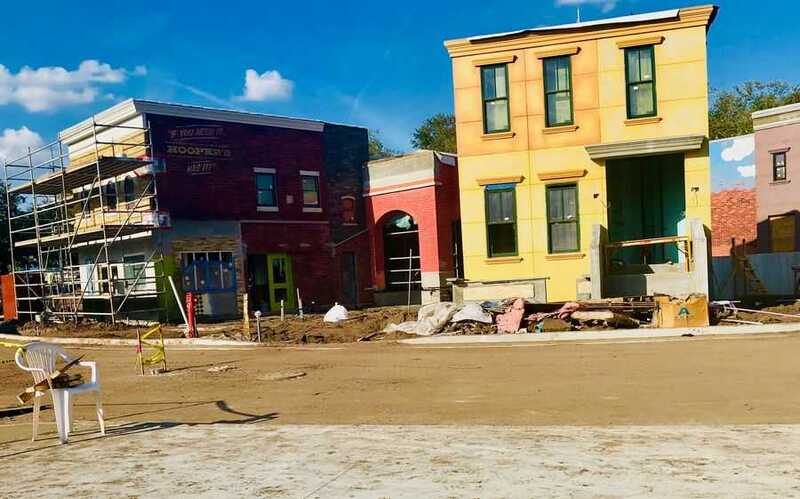 A series of paint color tests covered the facade of the show’s familiar 123 Sesame Street building. The new themed land will have 22 building facades recreating locations from the children’s television show that began in 1969. One building even has a door big enough for the 8 foot, 2 inch Big Bird to walk through. Once the work is done, the new land will look just like the television neighbourhood. Mr. Hooper’s corner store will have black-and-gold striped awnings over the windows and a rooftop billboard. Colourful floral planters will hang beneath the second-story windows on the 123 Sesame Street building that serves as the centrepiece of the land. Rows of brownstones with wrought iron fire escapes will line a paved street with curbs and crosswalks. Hopscotch squares and chalk art will adorn the sidewalks. A subway station, newsstand and theatre will fill out the block. Located next to Shamu Stadium, Sesame Street at SeaWorld Orlando takes over six acres that were once home to Shamu’s Happy Harbor. All of the former ocean-themed rides from the kiddie land will be re-themed for Sesame Street at SeaWorld Orlando. 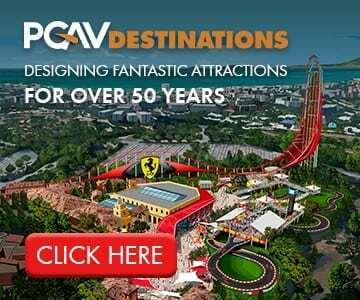 A majority of the new land will be an exact replica of the current TV show set, which has undergone several remodels through the years. 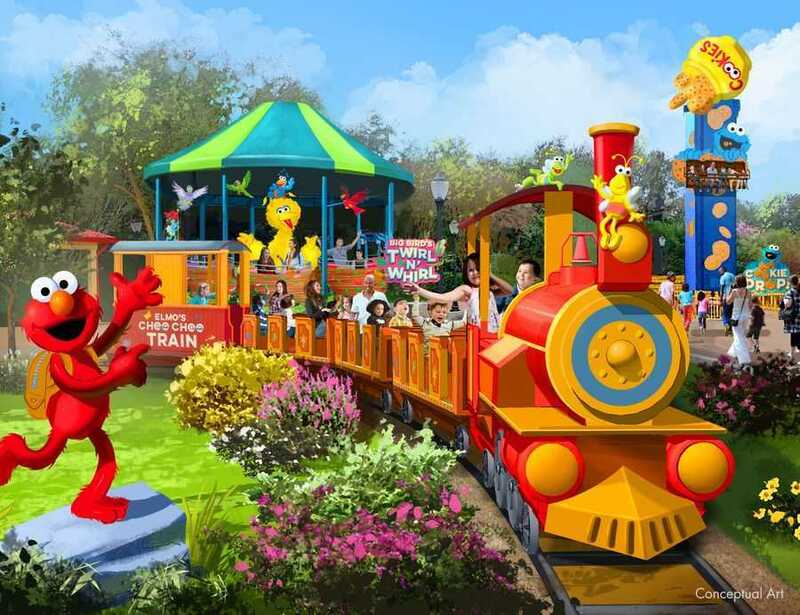 SeaWorld’s creative team worked closely with Sesame Workshop to bring the new themed land to life at the Orlando park. 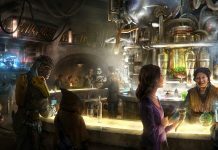 One of the biggest challenges: Creating a second story for the new themed land. Viewers only see the first floor of the TV set. Visiting the Sesame Street television set thrilled Trauger’s inner child. 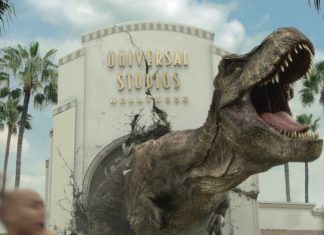 It also helped the SeaWorld creative team translate the TV universe to a theme park environment. 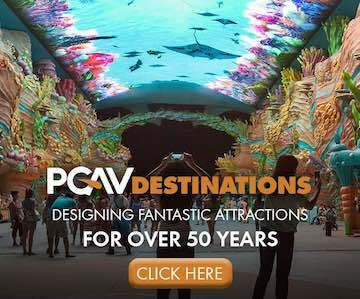 During the design phase, SeaWorld’s creative team referenced a digital version of the Sesame Street television set that allowed them to zoom into every architectural detail. 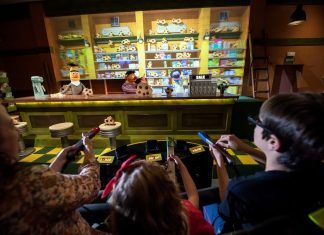 Prior to construction, the SeaWorld team created a virtual 3D model that let them look at Sesame Street at SeaWorld Orlando from any point of view. SeaWorld’s creative team referenced previous Sesame Street sets and Sesame Workshop illustrations to ensure architectural details like decorative cornices were as accurate as possible. The SeaWorld team even built a full-size mock-up of the 123 stoop facade to make sure the dimensions of the forced perspective building were correct. Trauger brought her 8-year-old son to the park to see how his height compared to the 123 mock-up. 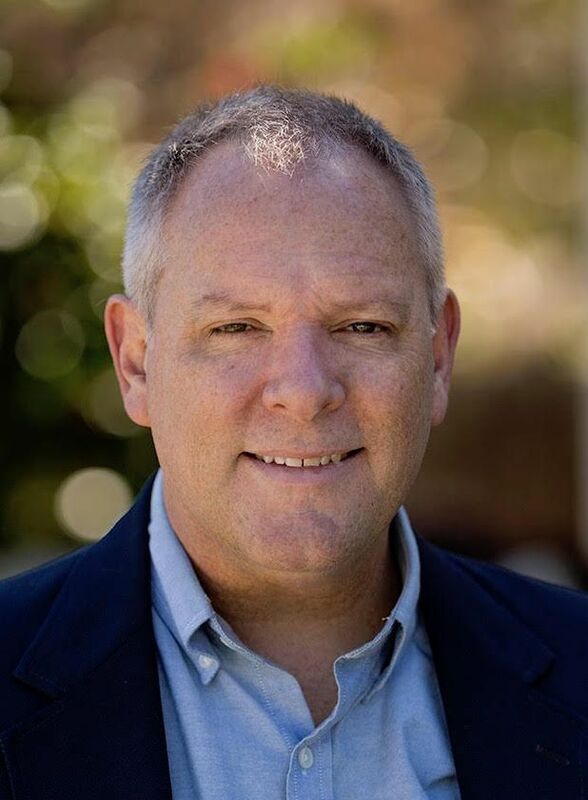 The goal of the project was to strike a balance between the “Sesame Street” kids watch today and the show their parents remember from their own childhood, Trauger said. Trauger hopes the new land triggers memories and emotions for die-hard fans of the show, regardless of their age. Construction of the new themed land pushed the footprint of the former kiddie play area closer to Shamu Stadium. This was done to make room for a broad Sesame Street and a new parade. The main path around SeaWorld Orlando will soon pass directly through Sesame Street. “There’s kind of no missing Sesame Street if you come to SeaWorld,” Trauger said. The 123 stoop, where puppet and human characters gather on the show, serves as the centrepiece of Sesame Street at SeaWorld Orlando. Big Bird’s giant nest will sit next to the building. Mr. Hooper’s store, a laundromat, newsstand, subway station and bike shop stretch out to the left. On the right, there’s a theatre, hair salon and veterinary centre. 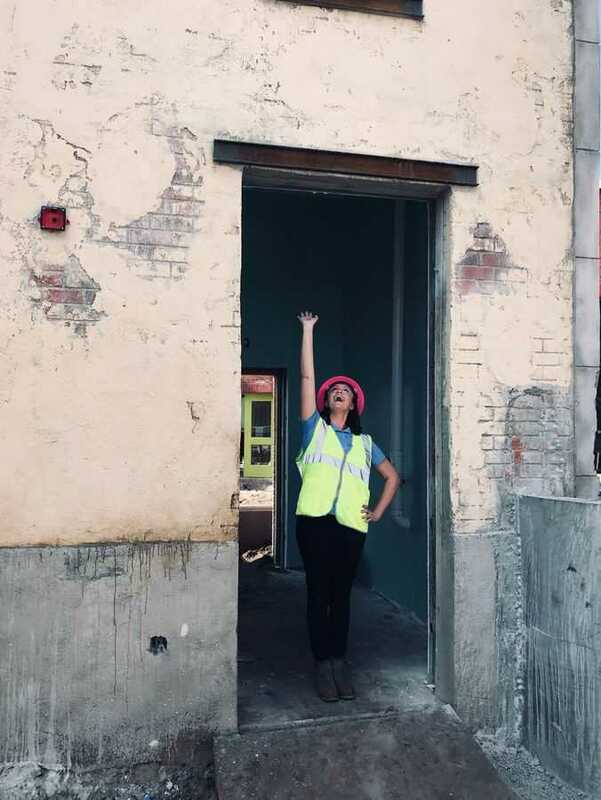 Behind the 123 building, Abby Cadabby’s garden will spread out beneath a brick wall painted with a baby blue sky and puffy white clouds. Most of the locations are a “direct lift” from the TV set, Trauger said. The SeaWorld team worked with Sesame Workshop to imagine the rest. The cityscape facades front a large building that serves as a retail shop and character meet-and-greet area. 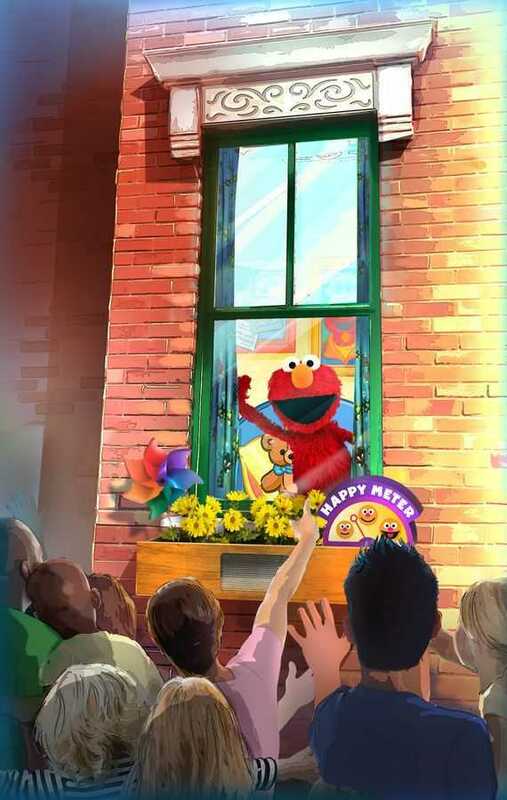 The windows lining Sesame Street will help tell the backstories of the characters, where they live and where they play. Digital versions of the characters will appear in the windows throughout Sesame Street at SeaWorld Orlando. Visitors will hear but not see Oscar the Grouch in his trash can next to the 123 stoop. Each character has a home on Sesame Street. Elmo lives in the bottom floor of 123. Bert and Ernie live downstairs in the basement. 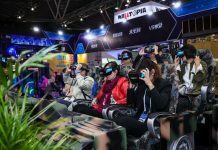 “That’s the good thing about working with the Workshop is they help us understand where characters live, where they would be if they worked and how old they are,” Trauger said. Inside Mr. Hooper’s store, shoppers will browse through the shop’s stockroom for Sesame Street-themed retail merchandise. The indoor meet-and-greet area inside the theatre will take visitors backstage to the character’s dressing rooms. Guests will then have opportunities for a photo op with Elmo, Abby Cadabby and Cookie Monster. Green screens will allow the park to quickly change out the digital backdrops for seasonal and special events. Outside next to Abby’s garden, Big Bird will host a daily storytime in his super-sized nest. A host will read a book while the bright yellow anthropomorphic canary reacts to the story with the help of a pre-recorded audio track. 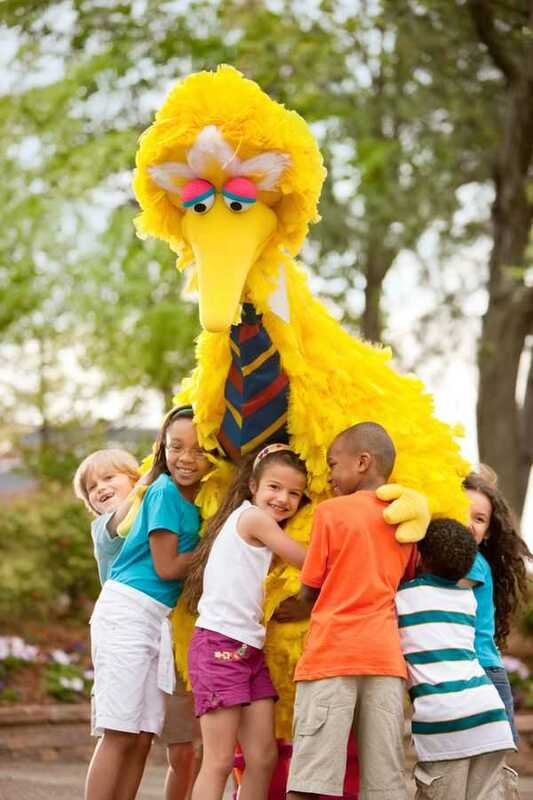 Big Bird will make a dramatic entrance for storytime by way of a 9-foot-tall door in the side of the 123 building. “It’s a big door for a big bird,” Trauger said. The six existing rides from Shamu’s Happy Harbor received a Sesame Street character overlay and thematic reskin. All of the rides remained in their original locations. 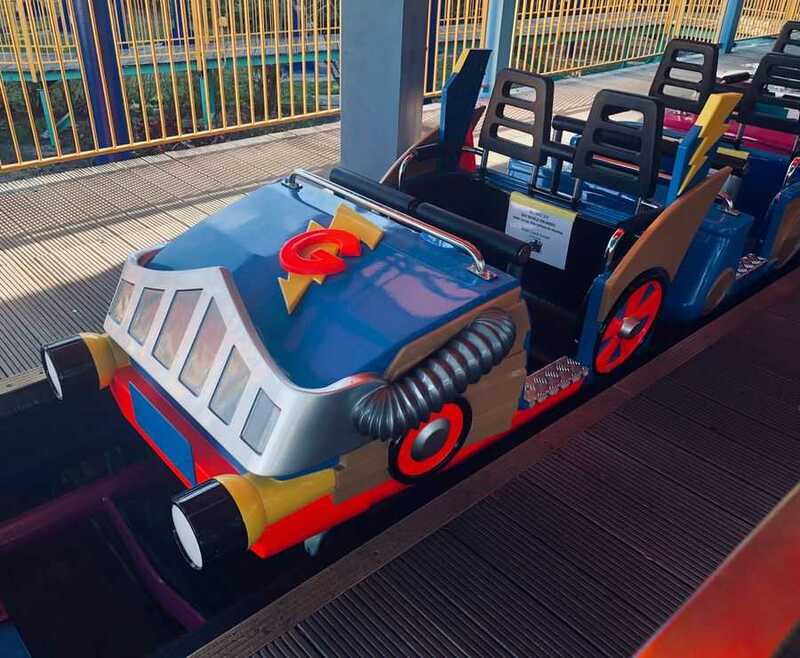 “The great thing about these rides is these are family rides that the whole family can ride together,” Trauger said. 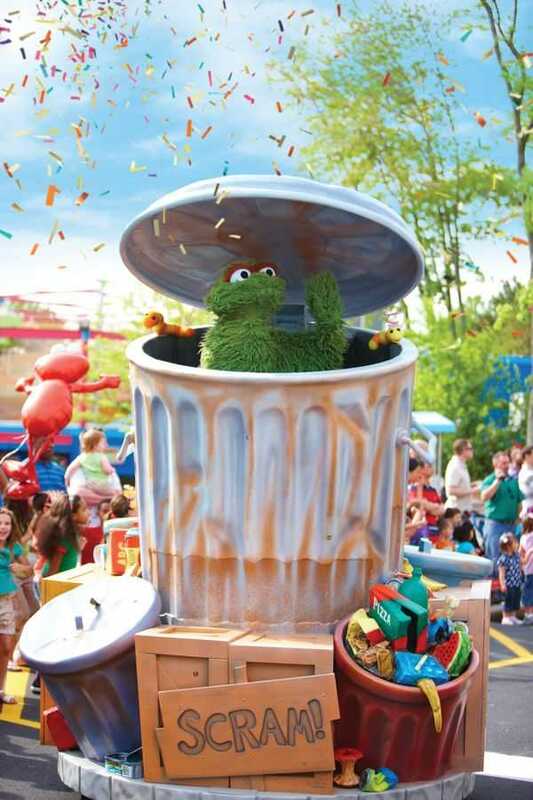 SeaWorld Orlando’s first-ever parade will feature costumed Sesame Street characters. The daily 30-minute Sesame Street Party Parade through the new land will have a dance party theme. Bert and Ernie will appear on a float themed to look like Mr. Hooper’s store. The block party-style parade will make show stops along the route. Characters will hop off the eight parade floats to dance and play with the kids watching the procession. “If you want to see the parade, you have to be in Sesame Street,” Trauger said. 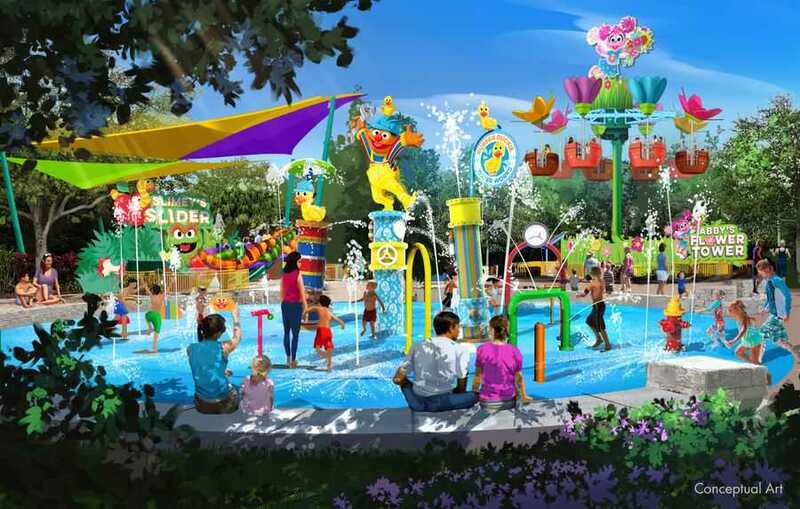 The new themed land will also include a Rubber Ducky Water Works water play area as well as a dry kiddie playland. A hard hat-wearing Ernie and his beloved rubber ducky will try without success to fix the leaking pipes in the splash pad-style water play area. “There’s going to be water everywhere,” Trauger said. The 18-foot-tall Count Around Playground play structure will be themed to the vampire-like Count von Count counting muppet from the show. 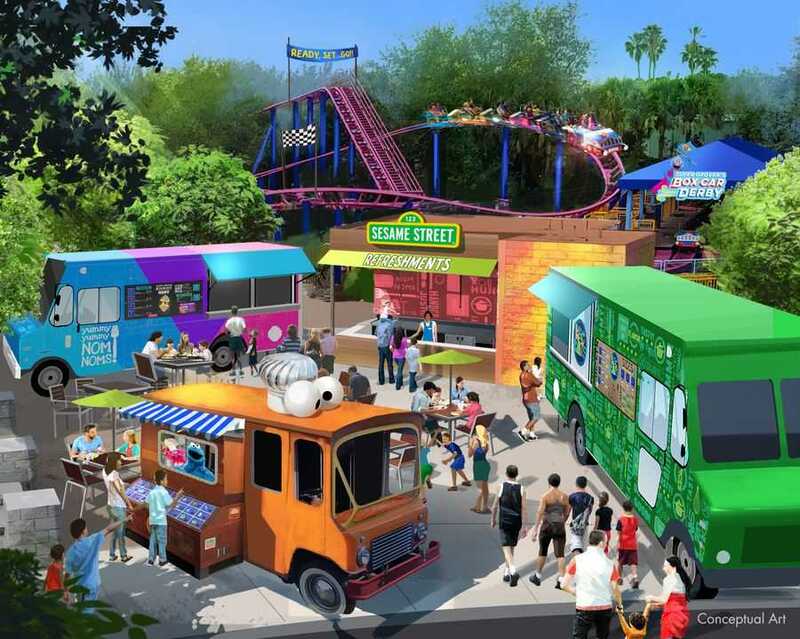 Next to the play areas, a pair of SeaWorld-operated food trucks will offer quick bites. Nearby, Cookie Monster’s foodie truck won’t actually serve food but will offer a few fun moments. 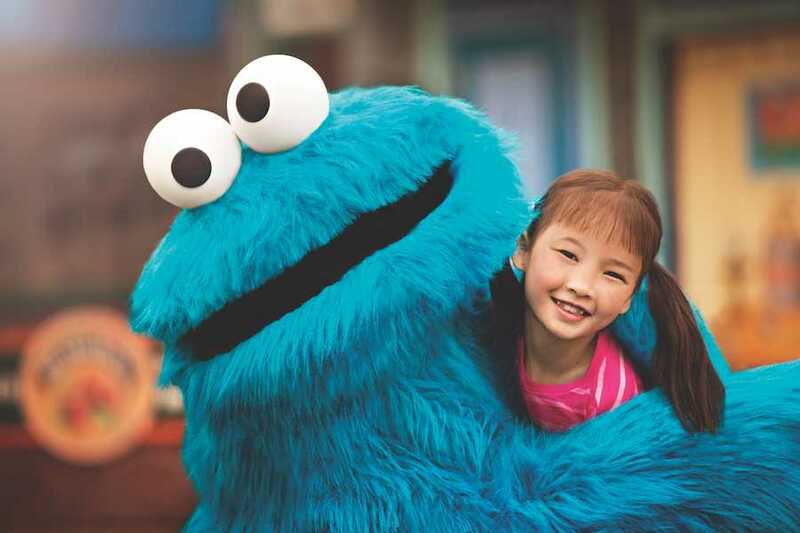 Sesame Street at SeaWorld Orlando is the latest entry in the biggest trend in the theme park industry right now. 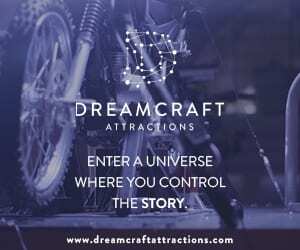 The goal: Create walk-through versions of the universes fans see in popular movie franchises, television shows and video games. SeaWorld has Sesame Street-themed lands at its marine parks in San Diego and San Antonio as well as its sister-park Busch Gardens Tampa. 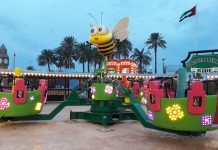 But those parks place the Sesame Street characters in safari- or ocean-themed areas rather than in a replica of the television neighbourhood recognisable to generations of fans. 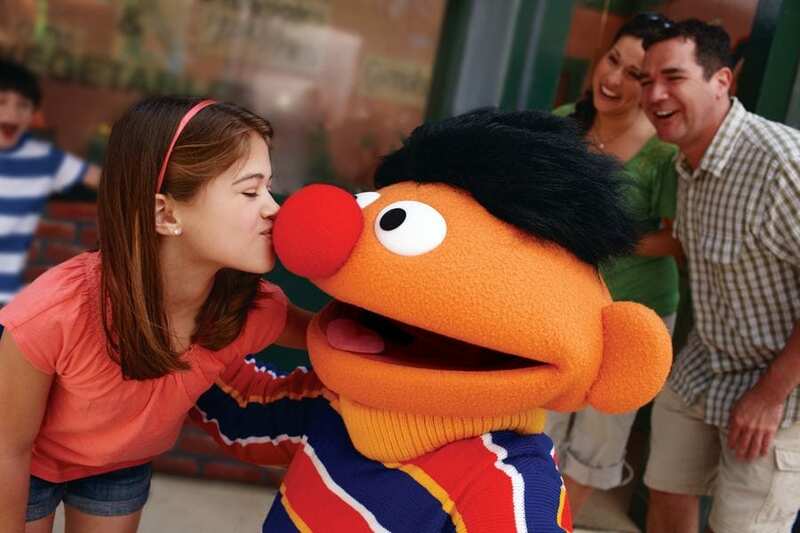 Sesame Street at SeaWorld Orlando is one of the largest investments in the park’s history. 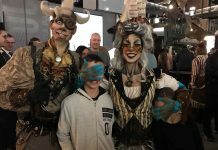 The new themed land is part of SeaWorld’s push to shift its parks away from live animal attractions toward more traditional amusement park rides. SeaWorld Orlando opened the Infinity Falls water rapids ride along with the Ray Rush raft slide at its Aquatica water park in 2018. Aquatica will debut the KareKare Curl water slide with a zero gravity wall this year around the same time Sesame Street at SeaWorld Orlando opens to the public. Images kind courtesy of SeaWorld Parks & Entertainment and Brady MacDonald.